For many musicians, choosing the title for an album can prove problematic. Especially, for a debut album. As a result, many of new artists and bands have gone done this route. This includes everyone from Black Sabbath, Led Zeppelin and The Allman Brothers Band to Art In America and Ash Ra Tempel. Then there’s Cluster, Dire Straits and 10CC, The Band, The Beta Band and The Doors. Eponymous debut albums it seems, have always been popular over with new artists. This included Tim Maia. When he released his debut album in 1970, it was entitled Tim Maia. It seemed he was following in the footsteps of many other artists. Following the success of his debut album, Tim Maia returned in 1971 with his sophomore album. It too was entitled Tim Maia. So were his third and fourth albums. This was guaranteed to cause confusion. Nowadays, Tim Maia’s debut album is known as Tim Maia 1970. It was recently reissued, by Oficial Arquivoknown, and marks the start of the reissue of the Tim Maia quartet. These four albums were released between 197o and 1973 and feature some of the best music Tim Maia released during his long and illustrious career. This reissue program is also a celebration of Tim Maia and his music. On September 28th 1942. Tim Maia born in Rio De Janeiro. He was the eighteenth of nineteen children. Aged just six, Tim earned a living delivering homemade food, which his mother cooked. This would be the nearest Tim got to an ordinary job. From then on, Tim devoted himself to music. At the age of eight, Tim Maia had already written his first song. By the time he was fourteen, Tim had learnt to play the drums and formed his first group Os Tijucanos do Ritmo. They were only together for a year. During that period, Tim took guitar lessons. He was soon a proficient guitarist, and was able to teach his friends. With some of his friends, Tim formed a new group in 1957. This time, it was vocal harmony group, The Sputniks. It was formed in 1957, and made a television appearance on Carlos Eduardo Imperial’s Clube do Rock. Alas, the group was a short-lived affair, which resulted in Tim embarking upon a solo career. This lasted until 1959, when seventeen year old Tim made the decision to emigrate. Tim Maia decided to head to America, which he believed he was heading for the land of opportunity. With just twelve dollars in his pocket and unable to speak English, Tim arrived in America. He called himself Jimmy at customs, and bluffed his way into the country, saying he was a student. Living with extended family in Tarrytown, New York Tim worked various casual jobs and augmented his meagre earnings by allegedly, committing petty crimes. Soon, he learnt to speak and sing English. This lead to him forming a vocal group The Ideals. During his time with The Ideals, they recorded a demo of New Love, which Tim Maia had written the lyrics to. Making a guest appearance on the demo, was percussionist Milton Banana. Nothing came of the demo, and Tim later resurrected the song for his album Tim Maia 1973. However, by the time Tim recorded New Love with The Ideals, he planned on never returning home to Brazil. America was now his home. That was until things went awry for Tim. Confusion surrounds why Tim Maia left Brazil. There’s two conflicting accounts. The first and more rock ’n’ roll version is that Tim was arrested on possession of cannabis in 1963, and deported shortly thereafter. That seems unlikely. There were punitive penalties for possession of even a small quantity of cannabis in the sixties. This meant it was unlikely Tim would’ve been just deported, without serving a jail sentence. So this lends credence to the allegation that Tim was caught in a stolen car in Daytona, Florida. After serving six months in prison, Tim was deported back to Brazil in 1964. Now back home in Brazil, Tim Maia’s life seemed to be going nowhere. He got and lost several jobs, and was arrested several times. So Tim decided to move to São Paulo, where he hoped maybe, he could get his career back on track. Having moved to São Paulo, Tim Maia, hoped he would be reunited with one of The Sputniks. Ironically, it was Carlos, who Tim had insulted before he left The Sputniks. However, Carlos proved inaccessible, and Tim had to make his own way in the São Paulo music scene. Tim made an appearance on Wilson Simonal’s radio show, and then appeared with Os Mutantes on local television. Still, though, Tim was determined to contact Carlos, and sent a homemade demo. Eventually, Tim’s persistence paid off. Carlos on hearing the demo, recommended Tim Maia to CBS. They offered him a recording deal for a single, and an appearance on the Jovem Guarda television program. Tim’s first single was Meu País in 1968. It failed commercially. So did the followup These Are the Songs, which Tim recorded in English. Things weren’t looking good for Tim Maia. His luck changed when Tim wrote These Are the Songs for Carlos. It gave his friend a hit single. At last, things were looking up for Tim Maia. Things continued to improve when Elis Regina became entranced by Tim’s song These Are the Songs. Elis Regina asked Tim to duet with her on the song. They recorded the song in English and Portuguese, and the song featured on Elis’ 1970 album Em Pieno Veroa. This gave Tim’s career a huge boost. Recording with such a famous Brazilian singer lead to Tim signing a recording contract with Polydor. Having signed to Polydor, Tim Maia somewhat belatedly began to work on his eponymous debut album. Tim Maia was fast approaching his twenty-eighth birthday, and musically, had a lot of catching up to do. Soon, work began on Tim Maia’s debut album. He began writing new songs and choosing cover versions for his what became Tim Maia 1970. Eventually, Tim had the twelve songs he planned to record. This included three Tim had penned himself, and three he cowrote. Tim wrote Jurema, Flamengo and Azul Da Cor Do Mar, and cowrote Cristina and Cristina Nº 2 with Carlos Imperial. His other collaboration was Padre Cícero, which Tim cowrote with Cassiano. He penned Você Fingiu and cowrote Eu Amo Você and Primavera (Vai Chuva with Silvio Rochael. The other three cover versions included João Do Vale and Luiz Wanderley’s Coroné Antônio Bento, Fabio and Paulo Imperial’s Risos and Claudio Roditi’s Tributo À Booker Pittman. These songs were recorded with producers Arnaldo Saccomani and Jairo Pires. Accompanying Tim Maia, was a relatively small, but tight and talented band. The rhythm section provided the heartbeat, and were augmented by keyboards, piano percussion and vibes. Meanwhile, Tim laid down his vocals, and added acoustic guitar. Later, strings were overdubbed on six tracks. Only then was Tim Maia 1970 complete. Little did any of the musicians realise that they know that they were about to make musical history. When Tim Maia 1970 was released later in 1970, the album was hailed a groundbreaking, genre-melting classic by critics. The album was a successful and seamless marriage disparate genres. Soul and funk rubbed shoulders with samba and Baião. There’s even hints of easy listening and soul jazz on Tim Maia 1970. It also featured three future Tim Maia classics, that showed different sides to Tim Maia. This includes the album opener Coroné Antonio Bento. It’s a stomping fusion of soul and funk, where Tim’s vocal becomes a vamp. Primavera (Vai Chuva) and Azul Da Cor Do Mar are both beautiful ballads. This is were Tim seems to come into his own. There’s several ballads on Tim Maia 1970. Cristina and Padre Cícero are soul-baring ballads. So are Você Fingiu and Eu Amo Você, where the lushest strings prove the perfect accompaniment to Tim’s vocal. Then on Cristina, Tim combines power, passion and emotion. However, there’s more to Tim Maia 1970 than ballads. Risos is a mid-tempo track that floats along, constantly captivating. Jurema sounds as if was recorded in Memphis. Stabs of brassy horns and soaring harmonies accompany Tim, as his soulful vocal becomes a vamp. It’s a similar case on Cristina Nº 2, where soul meets funk and Tim’s vocal becomes a swaggering vamp. Tributo À Booker Pittman which closes Tim Maia 1970 has a jazz-tinged, soulful sound. This shows Tim’s versatility. Seamlessly, he switches between, and combines musical genres. This he’s been doing throughout Tim Maia 197o. When Tim Maia 197o was released, this marriage of soul and funk with samba and Baião was a first. No Brazilian artist had attempted this before. It was unheard of. However, it proved popular amongst record buyers. Tim Maia was released in 1970, and spent twenty-four weeks in the upper reaches of the Brazilian charts. It had been a long, hard struggle. Ever since he was deported from America, Tim Maia had been struggling to make a breakthrough. Now as he approached his twenty-eighth birthday, Tim Maia’s star was in the ascendancy. This should’ve been the start of a long and glittering career. Instead, Tim Maia’s career was a mixture of genius, farce and tragedy where the hugely talented, charismatic and larger life singer proved to fundamentally flawed. Thing went well for Tim Maia initially. 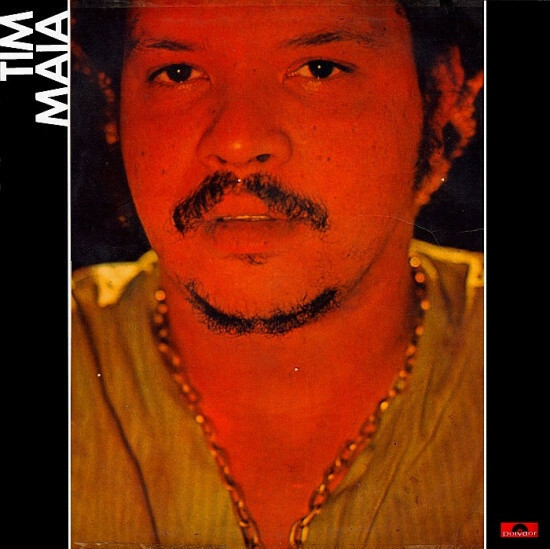 In 1971, Tim Mai released his much anticipated sophomore album, Tim Maia 1971. Just like its predecessor, Tim Maia 1971 was hailed as another groundbreaking album. Critics were won over by Tim Maia 1971’s imaginative fusion of soul and funk with samba and Baião. There were even hints of jazz, psychedelia and rock, during what was hailed as an ambitious and innovative album of genre-melting music. Having won over critics, Tim Maia 1971 was released to critical acclaim. On its release, Tim Maia 1971 entered the Brazilian charts, and gave Tim another hit album. It also featured two hit singles, Não Quero Dinheiro (Só Quero Amar) and Preciso Aprender a Ser Só. Tim Maia’s star was still in the ascendancy, and at this rate, it looked as if he was well on his way to becoming one of the biggest stars in Brazilian music. That should’ve been the case, given the quality of music on Tim Maia 1971. After the success of Tim Maia 1971, Tim headed to London to celebrate. He had just enjoyed two successful albums, after six years of struggling to make a breakthrough. Tim wanted to celebrate, and enjoy the fruits of his labour. It was during this trip to London, that Tim first discovered his love of the rock ’n’ roll lifestyle. Realising that he was only here for a visit, Tim Maia embraced the rock ‘n’ roll lifestyle. Almost defiantly, Tim Maia lived each day as if it was his last. He hungrily devoured copious amounts of drugs and alcohol. They became part of Tim Maia’s daily diet. Fortunately, his new found lifestyle didn’t seem to affect Tim’s ability to make music. That was until Tim discovered a new drug that would prove to be his undoing. In London, Tim discovered L.S.D. He became an advocate of its supposed mind opening qualities. He took two-hundred tabs of L.S.D. home to Brazil, giving it to friend and people at his record label. Little did Tim know, but this was like pressing the self-destruct button. Over the next two years, Tim Maia’s released two further albums, Tim Maia 1972 and Tim Maia 1973. Both albums were released to critical and enjoyed commercial success in Brazil. The only problem was after Tim Maia 1973, Tim became unhappy at the royalty rate he was receiving from his publisher. So Tim founded his own publishing company Seroma. This coincided with Tim signing to RCA Victor. They offered Tim Maia the opportunity to record a double album for his fifth album. Tim excited by this opportunity, agreed to sign to RCA Victor, and began work on his fifth album. Somehow, Tim was still seemed able to function normally on his daily diet of drink and drugs. He had already recorded the instrumental parts. All that was left was for Tim to write the lyrics. Seeking inspiration for the lyrics, Tim Maia decided to visit Tibério Gaspar. They had previously written together. That was where Tim found a book that would change his life, and sadly, not for the better. That book was the Universo em Desencanto (Universe in Disenchantment), which revolved around the cult of Rational Culture. They didn’t believe in eating red meat or using drugs. Considering Tim had a voracious appetite for drink and drugs, it seemed unlikely that he would join the cult. However, he did. Straight away, the cult’s beliefs affected Tim Maia and his music. Ever since he joined cult of Rational Energy, who fixated on UFOs, Tim was now clean-shaved, dressed in white and no longer drank, ate red meat, smoked or took drugs. Always in his hand was a mysterious book. Even his music changed. The lyrics for his fifth album, and RCA Victor debut, were supposedly about his newly acquired knowledge. This came courtesy of Universo em Desencanto. With the ‘lyrics’ complete, Tim’s vocals were overdubbed onto what became Tim Maia Racional, Volumes 1 and 2. With the album completed, Tim took it to RCA Victor. They who promptly rejected the album. Tim Maia Racional, Volumes 1 and 2 it appears, wasn’t of a commercial standard. To make matters worse, the lyrics made absolutely no sense. The only small crumb of comfort was that Tim’s voice was improving. That hardly mattered for RCA Victor, who weren’t going to release the album. For RCA Victor, it was huge disappointment. They thought they had signed an artists who would become one of the biggest names in Brazilian music. Instead, their star signing had joined a cult, and handed over the worst album of his career. Tim and RCA Victor at an impasse. There seemed to be no way forward. That was until decided to buy the master tapes from RCA Victor. Tim then released the album independently. However, it failed to match the commercial success of his four previous albums. For his many fans, Tim Maia was no longer the artist he once was. Then in 1976, Tim quit the cult. When Tim quit the cult, after Racional Volume 2, he’d fallen out with its leader. He felt duped and wanted Tim Maia Racional, Volumes 1 and 2 destroyed. That was the past. Now Tim wanted to move forward. Tim Maia’s music changed after Tim Maia Racional, Volumes 1 and 2. He released a new album in 1976, entitled Tim Maia, released in 1976. This was the start of the most prolific period of Tim’s career. From 1976 right through to 1998, Tim Maia continued to release albums. He released another twenty-five albums between 1977 and 1998. By then, Tim had released around thirty-four albums. Just like his live shows, the albums were hit and miss affairs. Sometimes Tim would turn up, play an outstanding set. Other times he would play a mediocre or shambling set. On many occasions, he’d fail to turn up. He returned to is rock and roll lifestyle, living life to the fullest. The last album Tim released was Nova Era Glacial in 1995. Other albums were released bearing Tim’s name right up until 1998. However, Nova Era Glacial is regarded as Tim Maia’s swan-song He passed away on March 15th 1998, aged just fifty-five. Sadly, by then Tim’s shows and behaviour had become predictable. That had been the case since his 1976 post-Racional comeback. Tim Maia was never the same man or musician after his dalliance with the cult of Rational Culture. It’s fair to say that the four album Tim Maia released prior to joining the cult were the highlights of a career that spanned three decades and thirty-four albums. The album that introduced Brazilian record buyers to one of their most talented sons, was Tim Maia 1970, which was recently reissued, by Oficial Arquivoknown . This genre-melting album was one the highlight of Tim Maia’s career. After Tim Maia 1970, Tim returned with his second classic album album, Tim Maia 1971. He followed this up with Tim Maia 1972 and Tim Maia 1973. They complete a quartet of albums that feature Tim Maia at his very best. Between 1970 and 1973, his star shawn the brightest. Sadly, since his death in 1998, Tim Maia’s music has been a well-kept secret outside of his native Brazil. Even within Brazil, many record buyers haven’t heard Tim Maia’s music. Those that have, speak about his music with reverence and in hushed tones. Like many maverick musicians, Tim Maia’s story sees myth and reality become intertwined. Truth and reality become one, just like his music was fusion of influences and musical genres. However, over the past few years, Tim Maia’s music has started to find a wider audience. They will embrace the reissue of Tim Maia 1970, which offers further insight into his music. Just like many maverick singer-songwriters, Tim Maia was touched by genius but fundamentally flawed. He could’ve, and should’ve, been a huge star. Sadly, something held him back, and stopped him from enjoying the widespread commercial success and critical acclaim his music richly deserved. This was music shaped by a multiplicity of musical influences, genres and of course, his lifestyle. His music is a compelling, captivating fusion influences and musical genres. Everything from soul, funk, jazz, rock, samba, bossa nova and baiao thrown into Tim Maia’s mystical and psychedelic musical melting pot. Similarly, Tim’s lifestyle including drink, drugs, multiple-marriages and imprisonment all shaped and influenced Tim Maia’s music. It’s then given a stir by one of music’s true maverick’s, who on the verge of critical acclaim and commercial success, made a couple of decisions he would later come to regret. The first of these was Tim’s dalliance with L.S.D. in 1971. If that was his first mistake, his second was definitely, his decision to join a cult derailed his career. Maybe if Tim had never celebrated his success in London, then things might have been very different? Somewhat ironically, given the amount of music Tim Maia recorded and released, the two albums he recorded during his time with cult, have gained cult status. These two albums, however, were just a snapshot of his career, but one that affected his future. After leaving the cult, Tim continued releasing music, but his live shows became unpredictable. They were either outstanding, mediocre or didn’t happen. All this fuelled the mythology that surrounds Tim Maia. In a cruel and tragic twist of fate, Tim Maia died young, like many maverick musicians. He was just fifty-five when he died in 1998. Since then, the mythology and rumours surrounding Tim have increased, as has his popularity. The recent rerelease of Tim Maia 1970 will fuel the increase in interest in Tim Maia and music. He’s one of music’s larger than life characters. Tim Maia realising he was only here for a visit, embraced the excesses of the rock and roll lifestyle and lived life in the fast line. Maybe without living his life in this way, Tim Maia’s music wouldn’t have been as memorable, magical, eclectic and timeless? Tim Maia 197o is all these things and more. It’s also a classic album that influence and inspired several generations of songwriters. So did the followup Tim Maia 1971. Both albums are regarded as classic albums in Brazil, and are without doubt, among the highlights of Tim Maia’s three decade recording career. However, the album that launched his career, was Tim Maia 1970. It’s the work of a charismatic singer-songwriter career, who was touched by genius and fundamentally flawed, Tim Maia,. ← CANNED HEAT-THE LIBERTY RECORDS YEARS.